With a home Feng Shui consultation, you can bring the benefits of this ancient Chinese art and science to your home no matter what the size or type. We use Classical Form Feng Shui to help you create a happy and harmonious living space. And you don’t have to spend fortune to do it. Over the last 15 years, we have consulted in a variety of home spaces from dorm rooms to waterfront estates. Our clients have included individuals, couples and families, and have ranged from 18 months to 80+ year olds. Why Feng Shui Your Space? “Thank you for helping us to get more centered and balanced. I am definitely learning about choices in our thoughts and our actions”. Choose what works best for you from the list below. A verbal Classical Feng Shui analysis of your home using Flying Star theory and formulations, with an on-site assessment. You are welcome to record the session or take notes as you like. If you prefer, add on our mini-report option for a nominal fee outlining key sectors, elements and recommendations for each room. The written report provides an excellent way to easily reference your recommendations. Update your initial Feng Shui report or walk-through to include the latest annual Feng Shui energy changes. One in-home consultation visit to assess how the Chinese New Year’s Feng Shui energy changes will impact your home. Receive Feng Shui recommendations to enhance or counter the energy, as appropriate. Review your Feng Shui progress and set new goals. Ask questions regarding upcoming home improvement projects and more. Space Clearing helps to revitalize the energy within your environment. A space clearing eliminates unwanted negative or stagnant energy and brings is positive energy. It is highly recommended on a periodic basis and prior to applying Feng Shui principles to your home. On-site hands-on space clearing by Linda uses techniques she has honed and developed over 16 years, including traditional use of bells, sage/incense and more. Are you remodeling your home, getting a new addition or working on a special project that could use a little extra Feng Shui assistance? 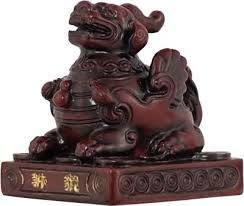 Now, you can get ongoing Feng Shui help and guidance with our retainer service. Enjoy the expertise of Linda Ellson, as you make selections or check in to keep your Feng Shui on track. Purchase blocks of time with Linda by the hour to have her on retainer and accessible to discuss a new project, text photos or ask for more in depth guidance in an email.